Originally published in 1988, this book provides a thorough examination of the possibilities and key issues in satellite technology which at the time already seemed likely to change the face of broadcasting both within nations and internationally. It begins with a guide to the technical development of different systems of satellites and signal reception and an outline of the international, political and regulatory issues involved. 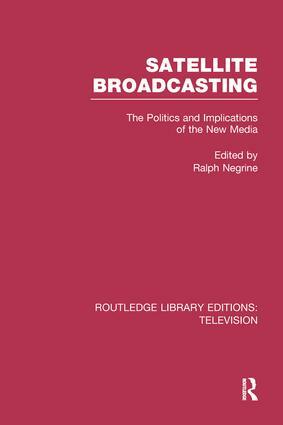 It then examines the situation in various industrialised countries by analysing launching plans, funding, the interaction between satellite, cable and VCRs and the effect on existing broadcasting systems. Concerned throughout with a wide range of cultural considerations and the potential impacts of the new media, this is a useful reflection on the time.